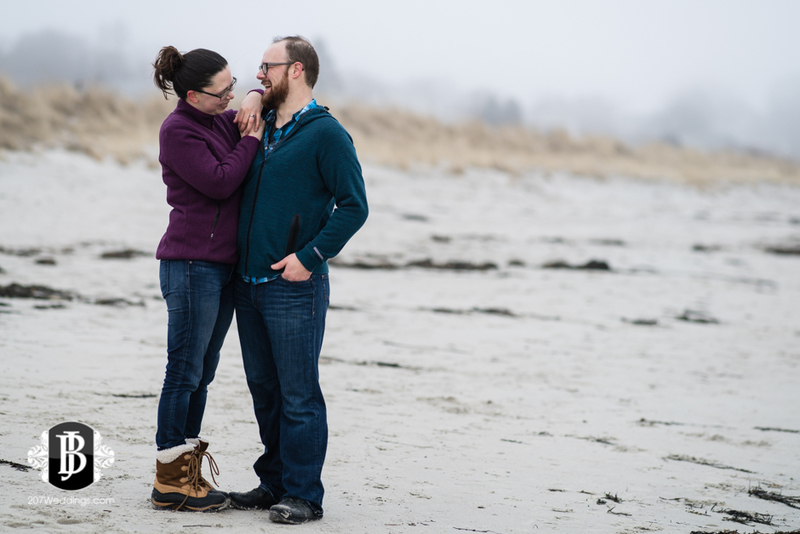 I love doing surprise proposal photoshoots near Portland, Maine. And I love planning for them. 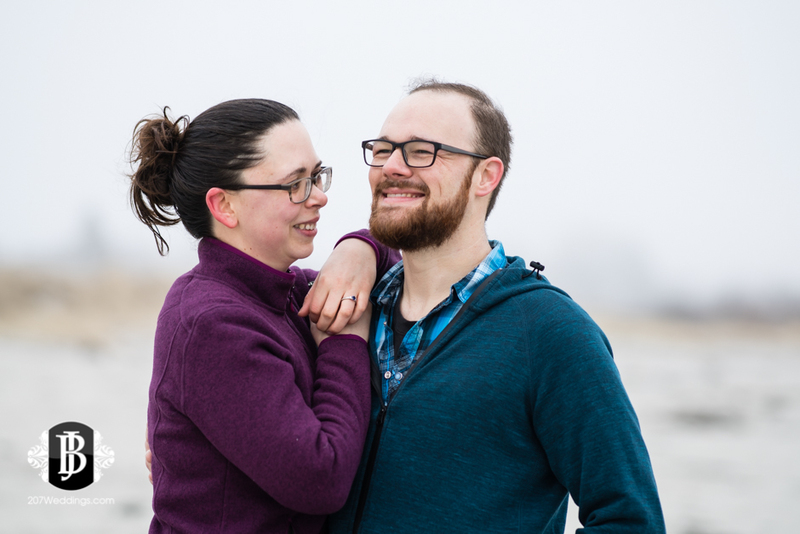 I love getting the call from the groom-to-be and hatching a plan together that will totally catch the love of his life off guard and send her over the moon! And this one is seriously not lacking in brownie points. Becky's 30th birthday was this weekend, and she had no idea what an amazing celebration lay ahead. 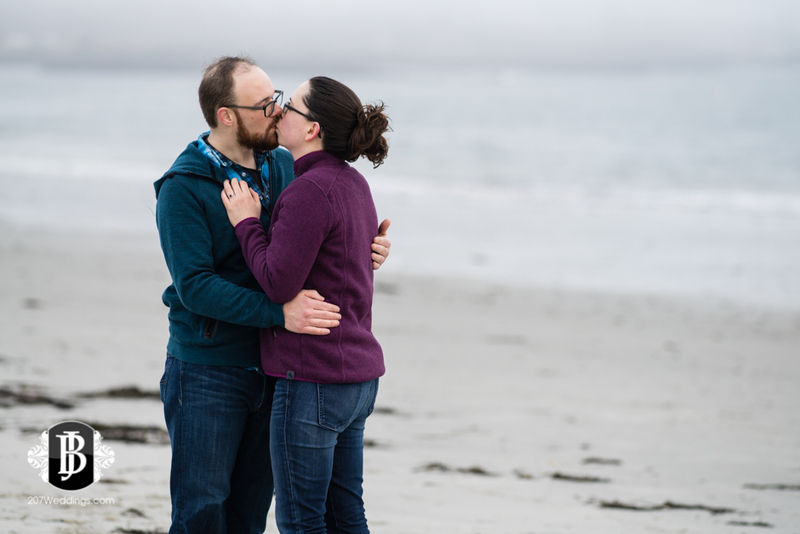 First, Chris whisked her away to a stunning seaside resort and spa as a special birthday getaway, at none other than Inn by The Sea in Cape Elizabeth, Maine. This was an easy choice for Chris based off his first interaction with the staff there, and being a dog lover, their rescue dog adoption program knocked it out of the park. Becky was already in heaven at the prospect of staying at this beautiful place, and it just kept getting better. Soon came a day of pampering complete with luxurious massage and skin treatment at the on-site spa. 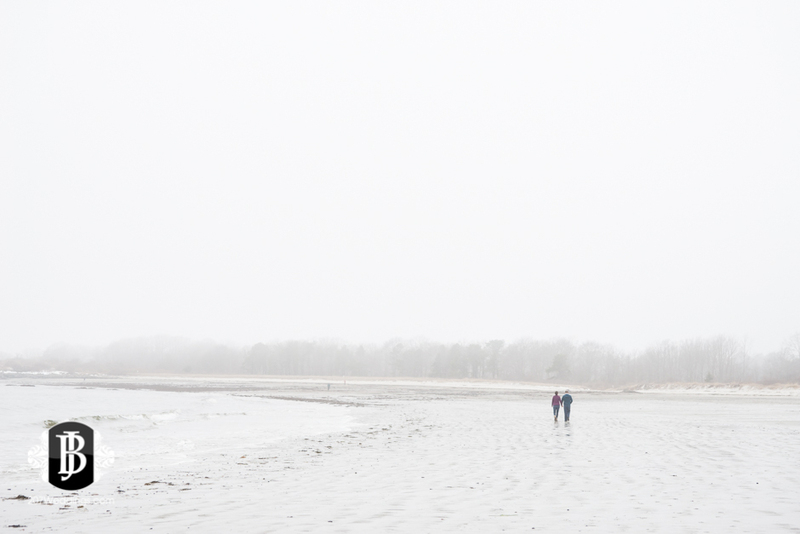 Then a quick walk down the snowy path lead to the beach where the fog lingered around the trees and off shore island, giving a romantic, ethereal glow to the surroundings. I could see she was in hog-heaven as they passed by us photographers as we were playing our roles by the script of our plan. She seemed to float on air as they approached the waterline, beholding the misty view and hugging and snuggling with full hearts. 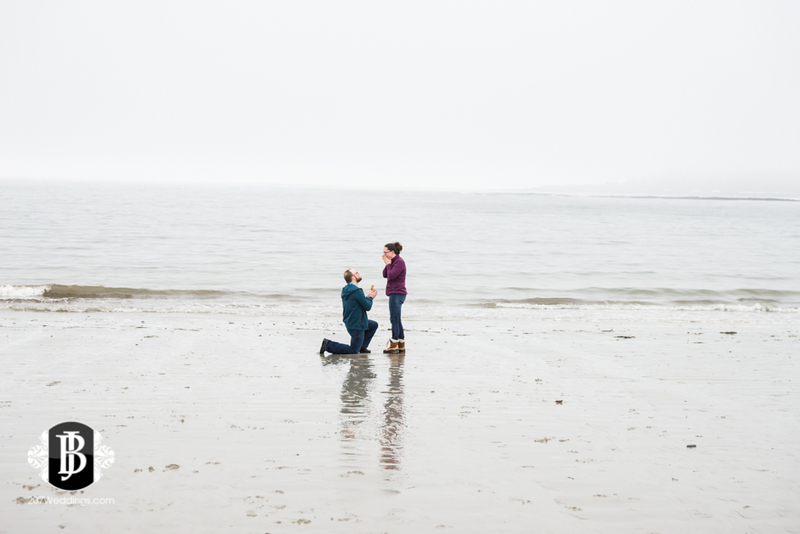 Then, as Chris took to one knee, she knew. It couldn't have been written more perfectly. 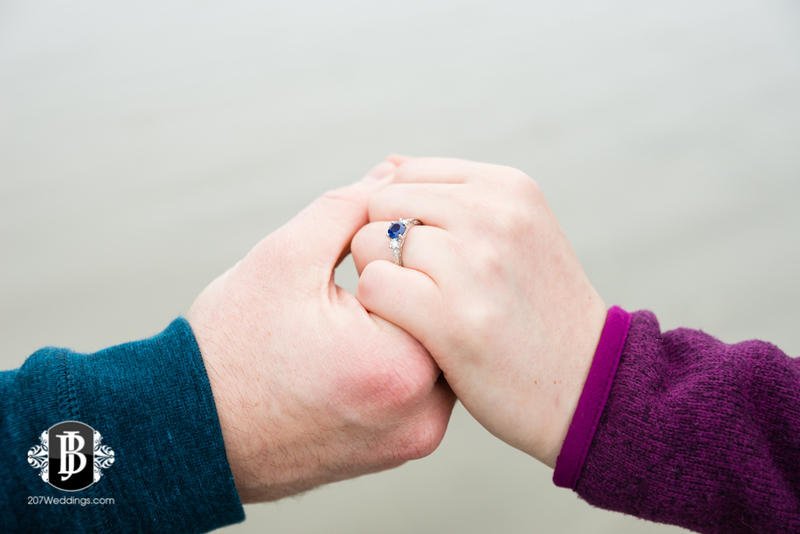 With tears of joy, she accepted, and soon the beautiful sapphire and diamond ring found its home perfectly on the hand of its new owner. She didn't see it coming, and you could tell it filled both of their hearts to overflowing. And it fills mine too, each time. 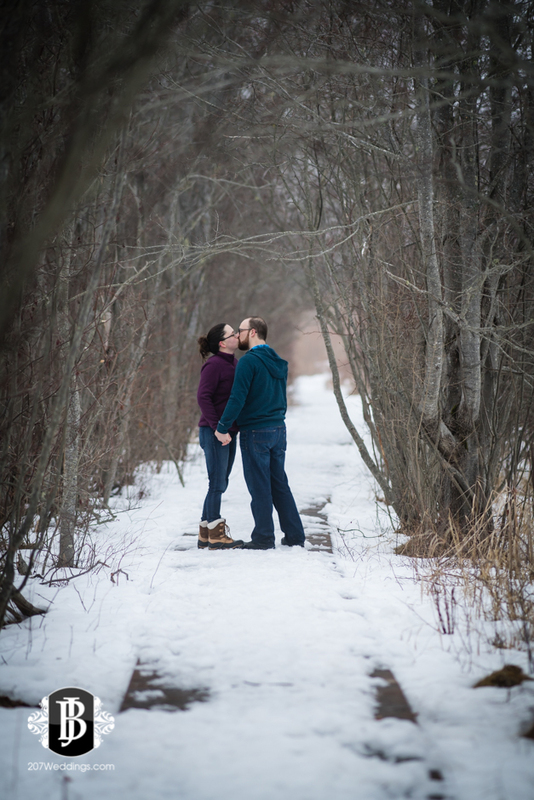 It is such a momentous honor for me to capture once in a lifetime moments like this, and to oftentimes be the first person aside from the person proposing who knows about what is going on. To know someone's life is about to be forever changed for the good, and seeing it happen - I can't describe it. It feels refreshing to my soul. 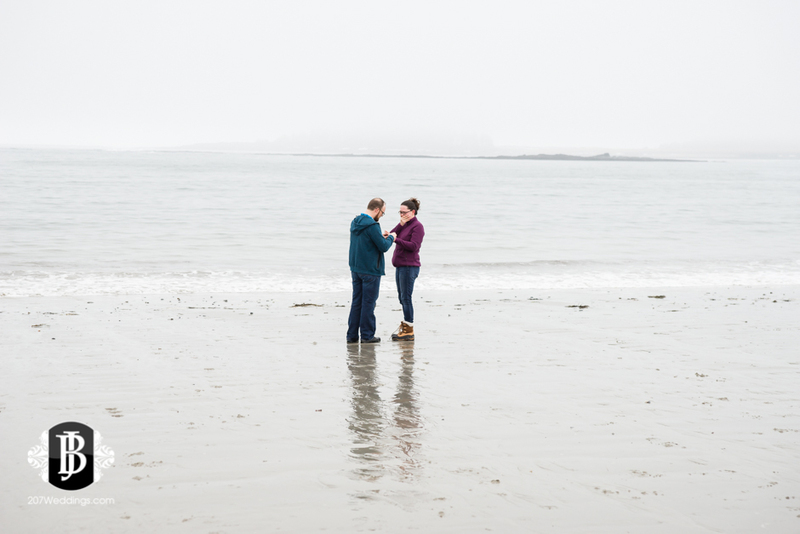 I hope you enjoy Chris & Becky's amazing proposal photos as much as I did making them!